Whether you're sculpting a full creation or adding a touch of glow to standard clay works of art, this oven bake clay glows in the dark for dramatic effects! 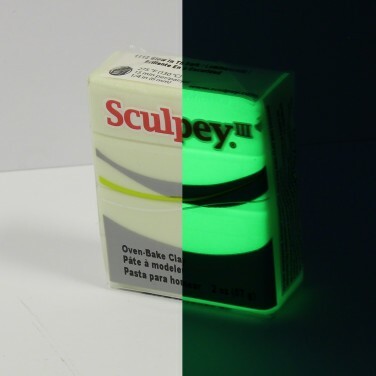 A 57g bar of oven bake glow in the dark clay, simply shape and bake your designs in the oven for 15-30 minutes to set and then expose to light before switching off the lights to see your creations glow in the dark! 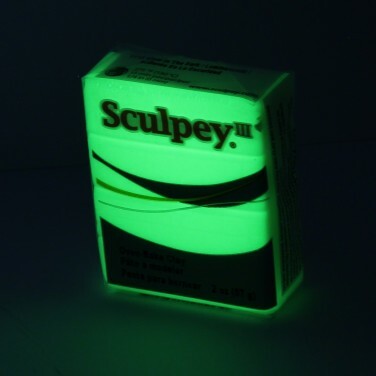 Expose to light and view in pitch black conditions for outstanding glow in the dark effects! Customise pyjamas, clothing even lampshades and bedroom accessories with Tulip Glow Fabric Paint. If you're feeling really creative you could even make your own glow mural! Let your imagination run wild as you shape and bake your own creations with this glow in the dark oven bake clay kit.